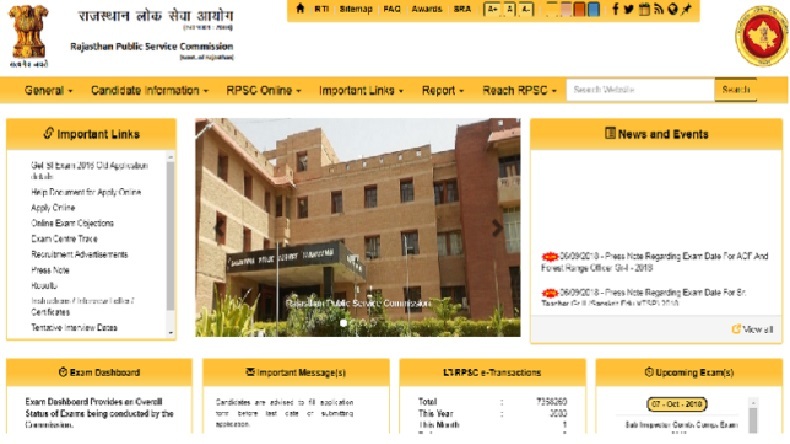 RPSC Recruitment Result 2018: The Interview results of RPSC Hindi Examination 2018 for College Lecturers have been released on its official website of Rajasthan Public Service Commission (RPSC). Candidates can log into the website rpsc.rajasthan.gov.in and check their results. RPSC Recruitment Result 2018: The Rajasthan Public Service Commission (RPSC) has released the Interview results of RPSC Hindi Examination 2018 for College Lecturers on its official website. The results have been published at rpsc.rajasthan.gov.in and those candidates who have appeared for the recruitment examination this year can check their results by logging into the website. According to reports, the Rajasthan Public Service Commission (RPSC) had conducted the Interviews for the post of Lecturer (Hindi) from 30 July 2018 to 28 August 2018 and 04 September 2018. Reports also say that 55 candidates have been successful in the Interview.